Jacqui studied equine stud management and worked at a stable yard as instructor and manager for 6 years before studying vet nursing. 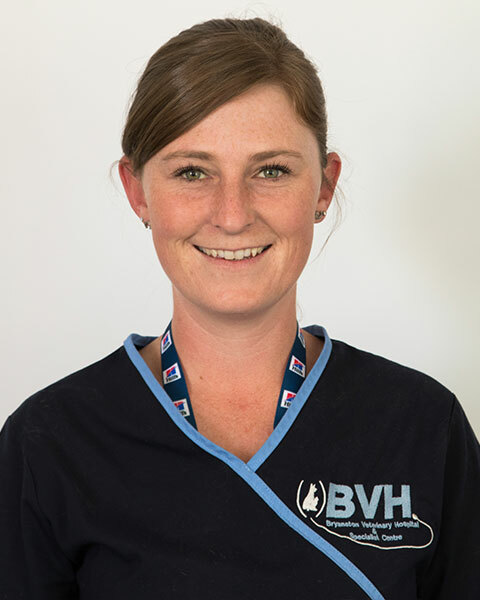 Jacqui has been working at BVH since qualifying as a vet nurse in 2010. She suffers from OCDS – obsessive compulsive dachshund disorder and am completely nuts about anything dachshund. Jacqui is our Hospital Administrator. Nadine has been passionate about animals all her life. 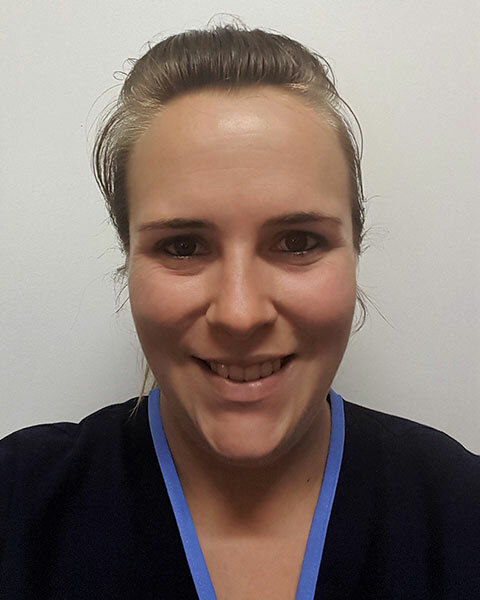 She started her career working at Onderstepoort for Dr Steenkamp, a maxillofacial surgeon, and she has a total of 6 years’ experience. 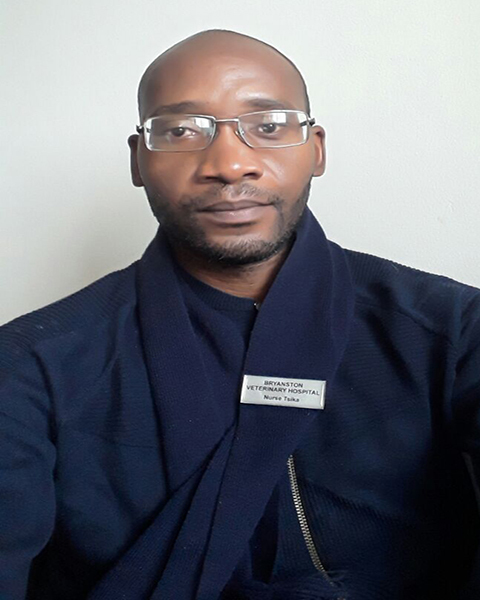 Nadine loves both surgery and medicine, and feels so fulfilled working at a practice like Bryanston that offers so much diversity. 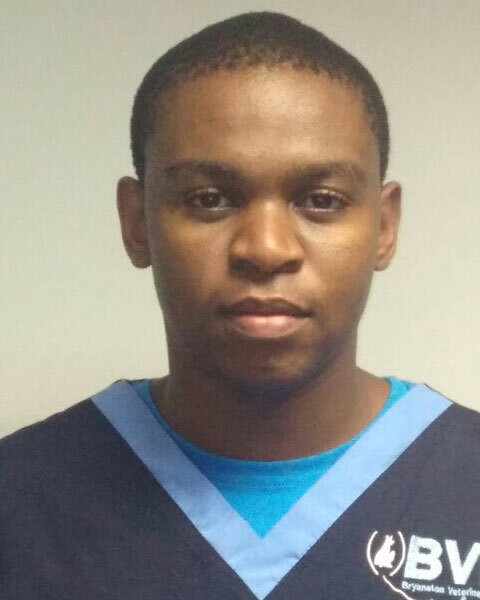 Jade qualified in 2013 and has a deep interest in surgery and the blood bank. Jade has a very big soft spot for Bulldogs. In her spare time she enjoys the gym and socializing with friends. 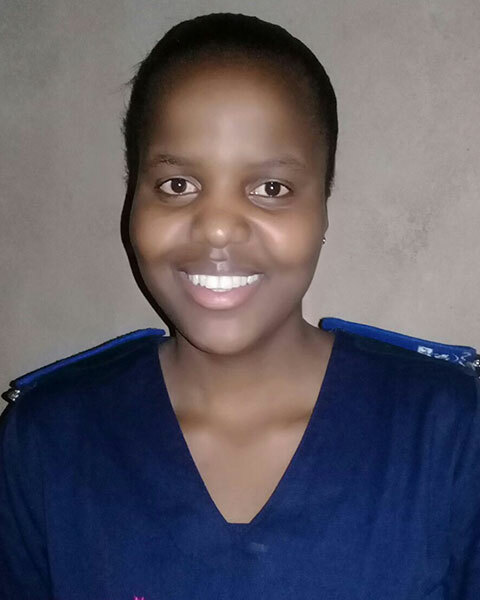 Luyanda choose to study Vet nursing as she wanted to understand animal behavior and well as helping to improve their health and well-being. She also has a keen interest in birds. I studied Equine science and Marketing management before qualifying as a veterinary nurse in 2014. My whole day is filled with animals every day. Horse riding is my passion, if I could I would spend all my time at the stables. 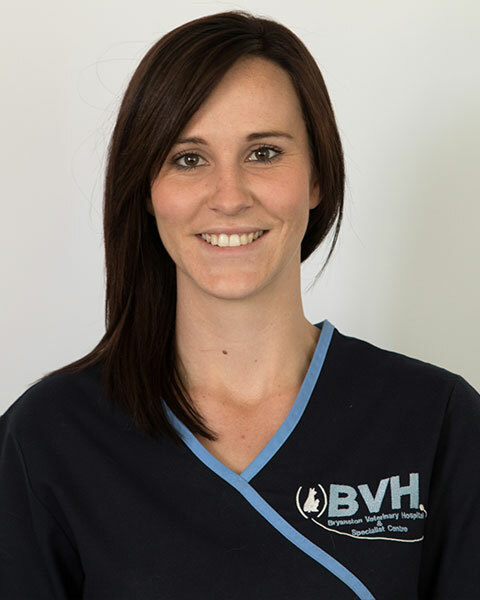 Cindy qualified as a veterinary nurse in 2014, prior to this she completed many different qualifications and short courses, ranging from game ranging to piloting to photography. She found her love for veterinary nursing after her son was born and has really found a passion for it. 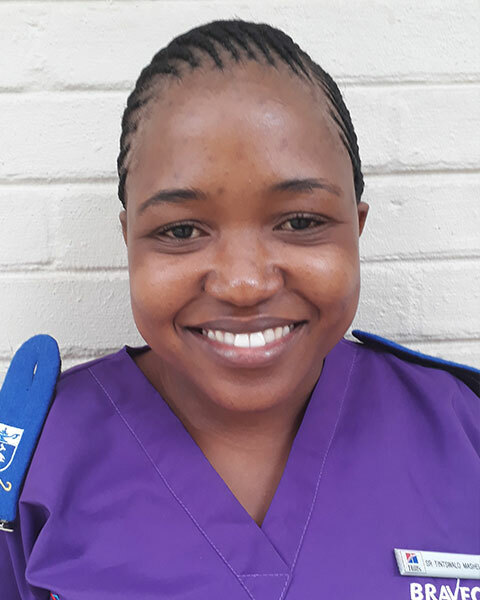 Cindy loves helping animals that can’t speak for themselves and being a part of their recovery, she has a keen interest in surgery, ICU and physiotherapy. 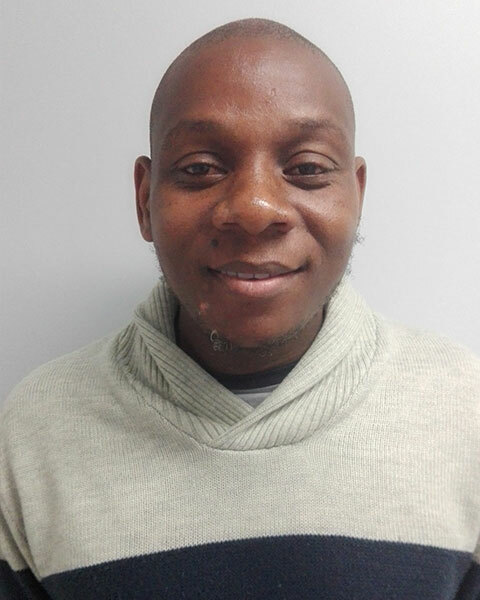 I have a honours degree in animal science and a diploma in veterinary Nursing. I love animals and very passionate about animal nutrition. Carla qualified in 2018, For as long as she can remember she always wanted to work with animals. Growing up Carla had a variety of pets, from spiders to hamsters. But her all-time favourite is the Canis Africanus. 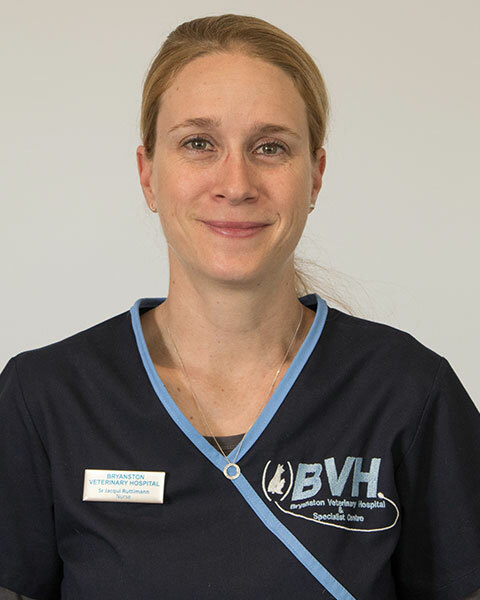 Roxanne qualified in 2013 and has been with BVH since qualifying. She has a passion for surgery. Roxanne also runs our weight loss clinic and along with Jade also runs the blood bank. She has a love for all breeds of animals but in particular her favorite are Bullmastiffs. 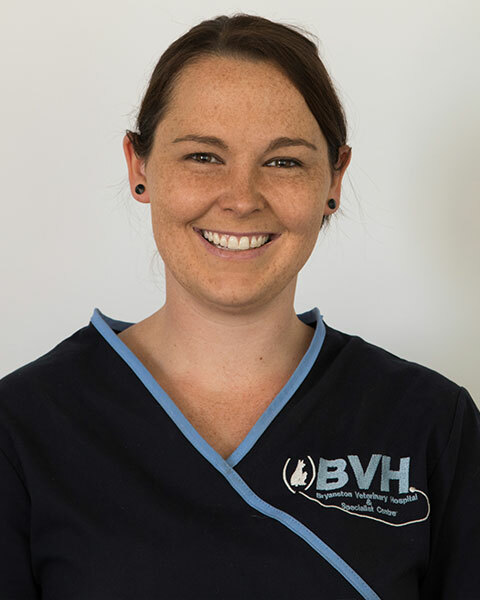 Shannon qualified as a veterinary nurse at the end of 2018. 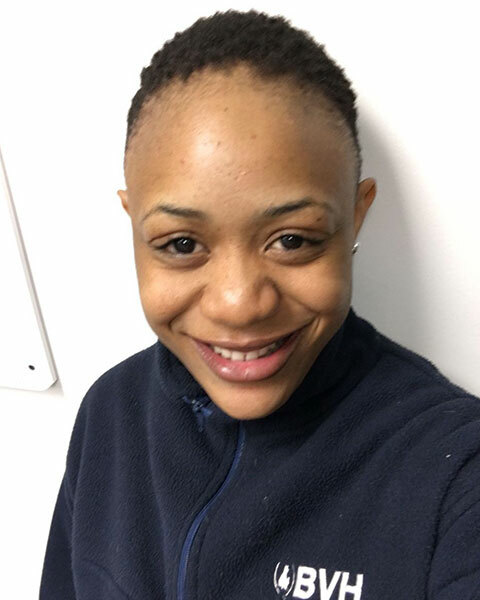 She has been passionate about helping animals since she was a child and has a special interest in working in the intensive care unit and learning more about rehabilitation for animals. In her spare time Shannon likes to read and spend time with her friends and family. 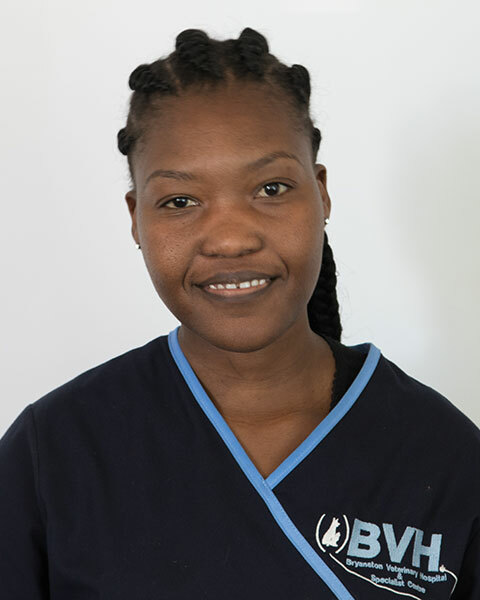 Jadie qualified from Veterinary nursing in 2018 and started working at Bryanston Veterinary Hospital in 2019. She enjoys the outdoor activities and spending time with friends and family. She has a special interest in patient care and especially the daily cuddles. Marianka qualified in 2015. She joined BVH in the middle of 2018. She grew up in a small farm town. Her interests are in medicine and ICU. Her favourite animal is the rottweiler.